Fly and sail as you feel! 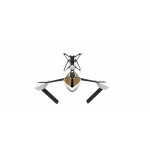 Parrot Hydrofoil Drone is a Two drones in one! You can use the Hydrofoil structure to glide through water and then remove it and fly the Minidrone in all directions. Built with streamlined foils and a hydrodynamic hull, Parrot Hydrofoil Drone is ultra-stable and moves with amazing dexterity and speed on water. Easily controlled by a smartphone or a tablet, you can perform rapid moves and turns. Its performance on the water's surface is amazing! 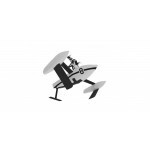 The Parrot Minidrone flies smoothly anywhere and can go as fast as 18 kph/11 mph. With a single swipe of your finger, the Minidrone turns 90° and 180°, and with a single click, it performs acrobatic 360° forward and backward flips in the air. 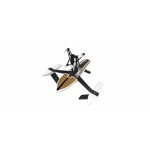 Designed for safe flying and sailing, Hydrofoil Drone is fitted with a propeller circuit-breaker in case of collision. With Parrot Hydrofoil Drone, you can now fly and sail as you feel! 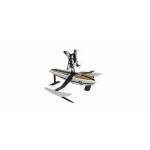 In Aquatic mode, Parrot Hydrofoil Drone is balanced and self-stabilizing. The steering is simple, attach the removable nautical structure to your Minidrone and conquer the aquatic world.An antenna has been integrated in the Minidrone to increase the maneuvering range. In flight mode, Parrot Hydrofoil Drone boasts superior flight stability thanks to its 3-axis gyroscope and accelerometer. 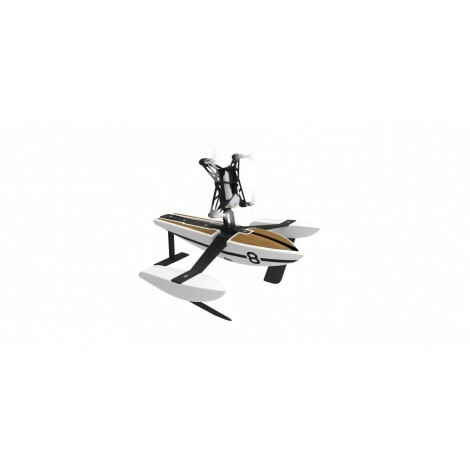 This ultra-sophisticated technology makes the Hydrofoil Drone one of the most stable quadricopters on the market.